UK Citigo prices from £8,635 (OTR) for Citigo S 3DR 60PS, all models available to order now. 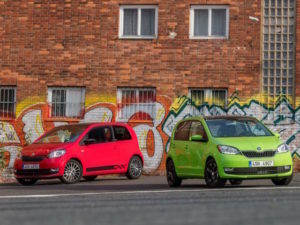 Skoda’s updated Citigo is available to order now, bringing design tweaks inside and out as well as equipment revisions. Priced from £8,635 (OTR), the facelifted three/five-door model brings an updated front end with redesigned bonnet, bumpers, fog lights and radiator grille and tweaks to the interior, which also gains an optional multifunction steering wheel. UK line-up comprises S, SE, Colour Edition, SE L and the Monte Carlo edition, with LED daytime running lights now available (standard from SE) as well as the addition of an optional cornering function on the fog lights. Drivers can also opt for City Safe Drive with light and rain sensors as well as Light Assist with Coming Home function (optional). Engine line-up is carried over and comprises 59 and 74bhp versions of the 1.0-litre petrol, with a GreenTech version offering emissions from 96g/km with 64.2mpg. Winchester City Council and Enterprise Car Club have teamed up to launch the city’s new car club, aimed at businesses and residents. Winchester City Council has launched a car club for businesses and residents. 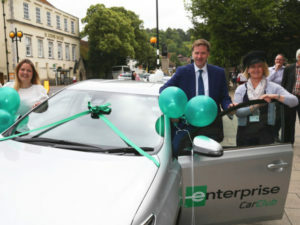 Run by Enterprise Car Club, the service will offer four cars, including hybrid models, based at the Friarsgate, Middle Brook Street and Jewry Street car parks as well as at Enterprise’s offices at Winchester Railway Station. Businesses and residents can sign up to the car club for free at www.enterprisecarclub.co.uk and vehicles can be booked for time periods starting from 15 minutes. The car club forms part of the City Council’s new Air Quality Action Plan, which alos features measures including new electric vehicle charging points in city centre car parks, introducing ultra low emission vehicles for the council’s own fleet and encouraging greater use of out of centre parking. The proportion of drivers complying with speed limit has mainly increased since 2011 but 20mph limits are a concern. 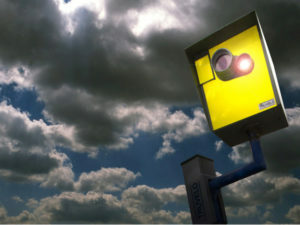 Drivers are increasingly complying with UK speed limits across most vehicle and road types. Latest Department for Transport data shows the percentage of cars exceeding the speed limit on motorways fell to 46% in 2016 from 49% in 2011 with 11% exceeding the limit by more than 10mph. National speed limit areas on single carriageway roads had the highest levels of speed limit compliance, with only 8% of cars exceeding the speed limit – the same as 2011, and 1% exceeding by more than 10mph. On 30mph roads, 53% of cars exceeded the speed limit – down from 55% in 2011 – with 6% exceeding 40mph. However, on 20mph limits, 81% of cars exceeded the speed limit, with 15% exceeding 30mph. In response IAM RoadSmart said the worst locations need to be targeted with traffic calming and other engineering features.